A mother's candid open letter about the tribulations of parenthood has gone viral. 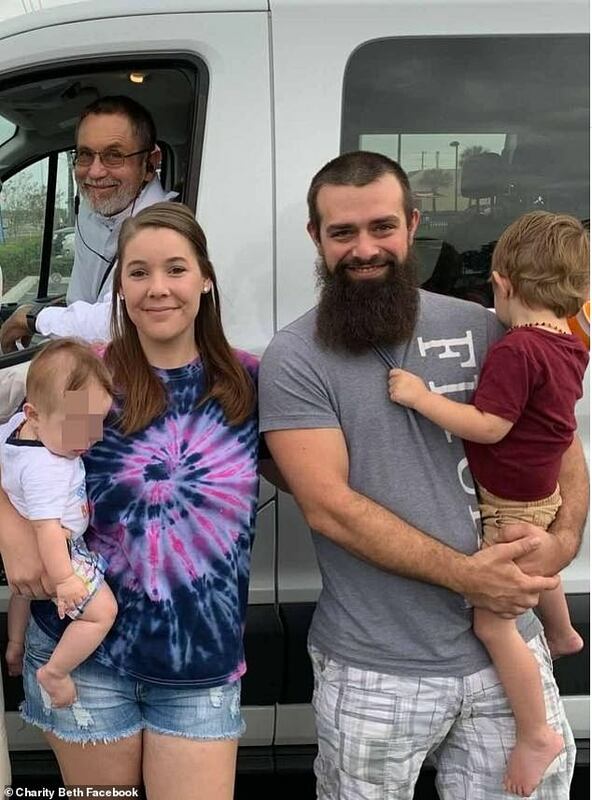 Charity Beth, from Pennsylvania, who shares two young sons with partner Vincent Venturo, has pleaded with strangers to be less judgmental in an honest message which hit a note with thousands of parents online. The letter, posted to Facebook last week, amassed a staggering 732,000 shares and 434,000 likes in just three days. Giving a glimpse at the everyday life of a busy mother, she asked for outsiders to be more understanding of their struggles. Taking to her Facebook account, she wrote: 'When a mother says she's tired, that's all she meant! 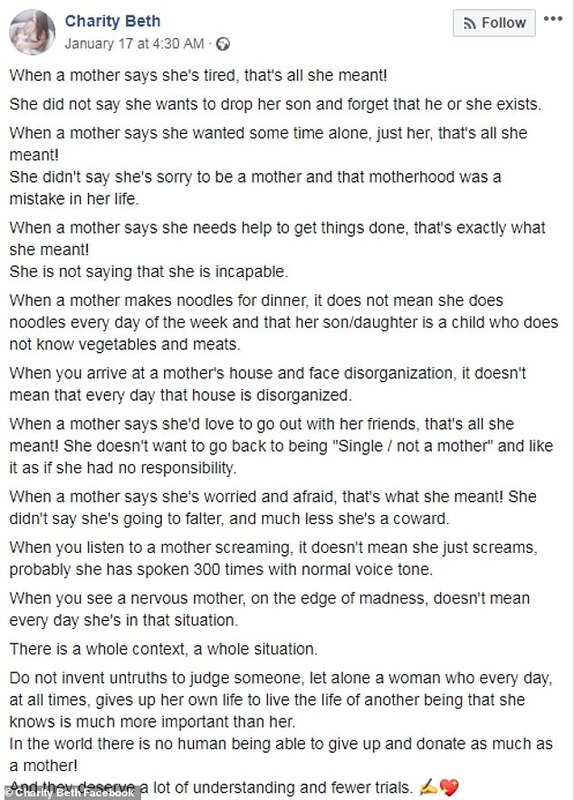 She continued: 'When a mother says she wanted some time alone, just her, that's all she meant! She didn't say she's sorry to be a mother and that motherhood was a mistake in her life. Charity also went on to highlight the importance of keeping your identity as an individual, not just a mother. The mother-of-two, who is outspoken on natural births and being aware of the dangers of child vaccinations, also warned strangers not to judge a parent for shouting. She said: 'When you listen to a mother screaming, it doesn't mean she just screams, probably she has spoken 300 times with normal voice tone. 'When you see a nervous mother, on the edge of madness, doesn't mean every day she's in that situation. Concluding the lengthy message, she said: 'Do not invent untruths to judge someone, let alone a woman who every day, at all times, gives up her own life to live the life of another being that she knows is much more important than her. And her letter was met with praise from other parents, racking up over a million likes and shares. One mother wrote: 'Thank you for this. Beautifully said and so very true'. Another added: 'Beautiful post. Such love is real. Your cup must be full to overflow to your family. Surround yourself with ways to keep your cup full, whether it be a quiet time zone in your home, chat with a friend or get a massage. 'Each and others are vital for mental and emotional health. Do not allow your femininity to disappear with the busyness of life. Great mothers have deep inner resources that keep them strong. Love is a powerful emotion! '(sic).